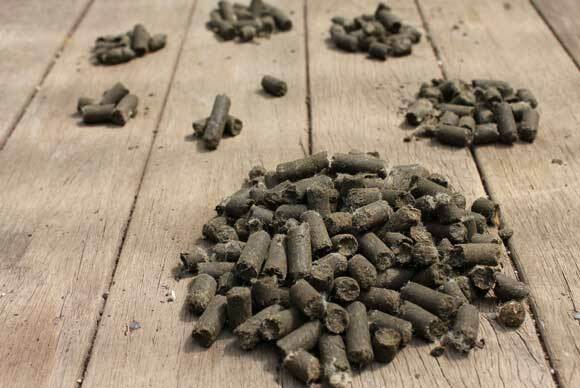 Sheep pellets are a natural NZ product made from sheep manure and waste wool. Containing a range of useful nutrients, they are used as a slow-release fertilizer – useful for balanced plant growth and for feeding micro-organisms in the soil that help to improve its fertility. Sheep pellets are also a good soil conditioner, helping to bulk up both heavy soils and light, sandy soils. 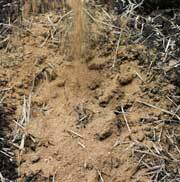 In addition, they help soils to hold onto moisture for thirsty roots. Sheep pellets are low on odour and are easy to apply in fruit and vegetable gardens. You can even add them to your home compost heap to give it a pep-up. Use them for soil conditioning, mulching or as a pre-planting pep-up all year round. They can be used in any beds or areas where planting is being changed with one crop coming out and another going in. Particularly useful in Spring soil preparation for new plantings as well as for soil at the end of summer that has been home to ‘gross feeders’. The likes of zucchini, squash, tomato, melons, sweet corn and pumpkins take a lot of nutrients from the soil during the growing season and can leave it depleted. Sheep pellets can be dug deeply into soil to help improve its structure and to store nutrients for deep rooted vegetables like parsnip, beetroot, carrot, turnip. Also useful turned into the top few inches to be more readily available to fast growers such as lettuce, spinach, peas and beans. 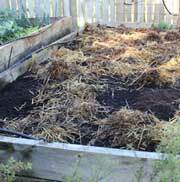 Alternatively use as a mulch around planted seedlings like runner beans, tomatoes, cucumbers etc. and fruit trees and bushes – such as blueberry, tamarillo, citrus and raspberries. Scatter across soil surface by hand and dig in so that pellets and soil are visibly mixed to about a spade’s depth for general soil preparation and conditioning. Spread a layer approximately half a finger deep around plants (without leaving pellets against stems that might cause rot) as a mulching application. Can be added to individual planting holes (maybe a handful or two in most cases) when planting the likes of rhubarb, globe artichoke, zucchini, melon, tomato and other hungry high producers – just mix in with soil at the bottom of the planting hole. Also good scattered along the bottom of trenches when planting potatoes. If planting containers with fruit or vegetables sheep pellets are a ‘must’ - their slow-release of nutrients helps to sustain plant growth in restricted amounts of soil.